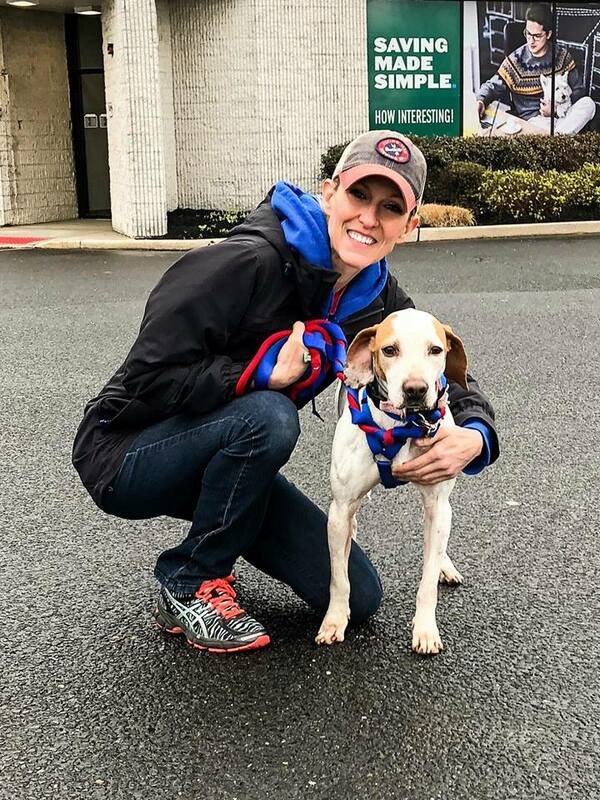 On April 15, 2018, Brian and I picked up our first Pointer Rescue, Org foster dog, Lilly. 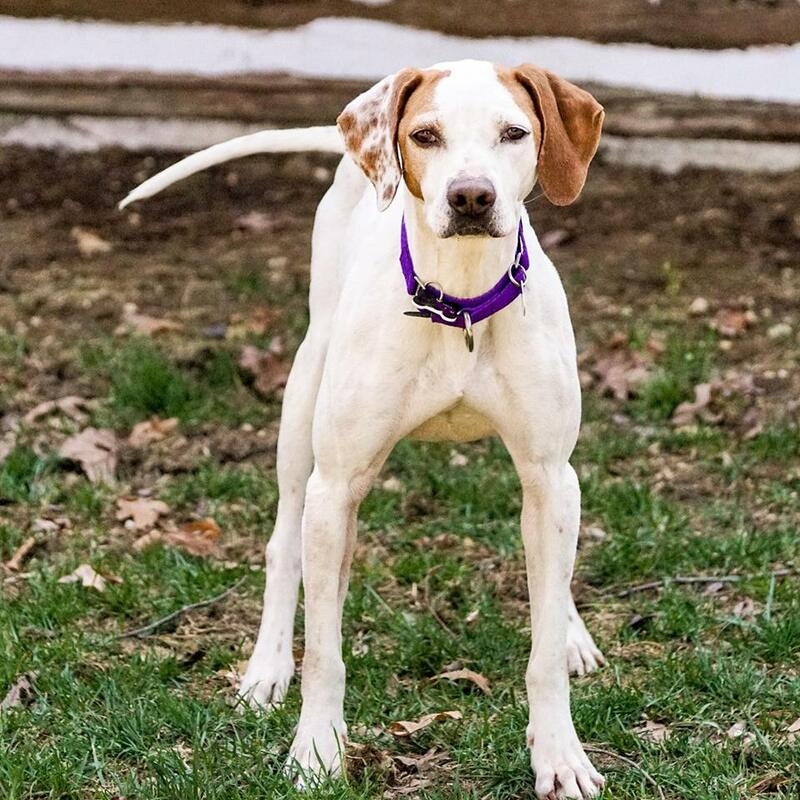 Lilly is an orange and white English Pointer, and was found as a stray in Tennessee. This (approximately) 2-year old Pointer ended up in a very urgent situation in an over-full kill-shelter. Luckily , Pointer Rescue stepped in to help her! Meeting Lilly when we picked her up on her transport! Welcome to your foster home and the start of a new life, Lilly! Lilly was THE sweetest dog! 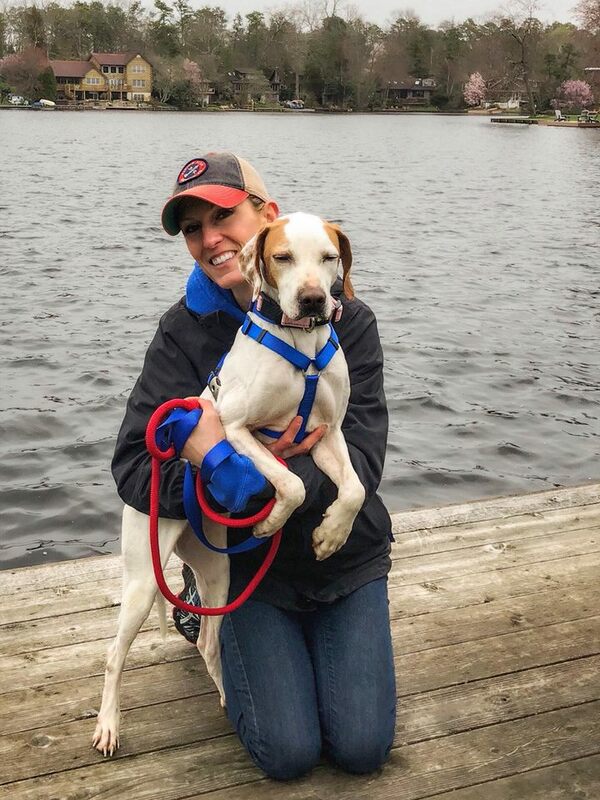 She was an extremely easy foster, as she had no issues being in a crate, was dog friendly, and learned commands quickly. We did have to work very hard to slowly add some healthy weight to her, as by the time she got to us, she was very thin. Lilly was very thin when we picked her up! Lilly was so broken and neglected when she arrived … but the “after” results in a photo and what we see person are an amazing transformation. It’s mind boggling to me how people can mistreat animals. The fact that these dogs can love and trust humans again after all they’ve been through just proves to me what amazing souls they are! We are so happy we were able to help Lilly, but even more honored that we got to call her family for a temporary time. ​You can click HERE to see Lilly’s freedom ride from the Tennessee shelter to us in New Jersey. The album documents her time with us until she was adopted. 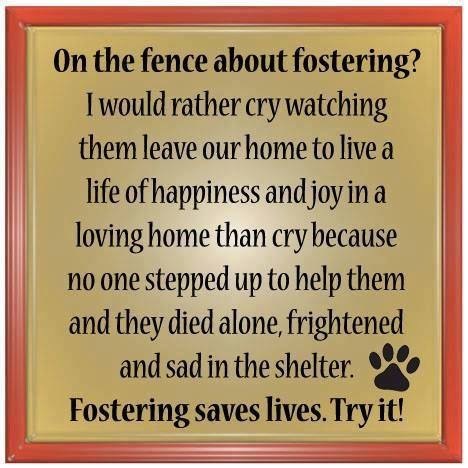 Thinking about fostering? 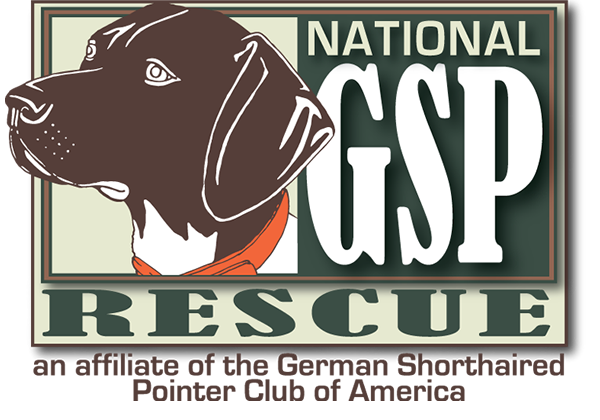 Pointer Rescue, Org is always looking for fosters so they can help more Pointers in need! Click HERE to apply to volunteer! This entry was posted in Fosters. Bookmark the permalink. Wow! Your unconditional love saved another precious soul. 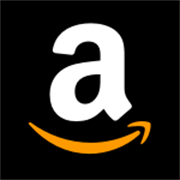 ♥ Thank you!